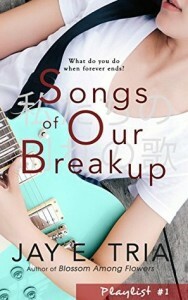 So today I have Jay E. Tria, author of Songs of Our Breakup, on the blog to talk about her heartbreak songs. Check out her list below! When I was tasked to choose a guest post topic, I jumped on this one figuring it would be easy. I mean people carry heartbreak songs around with them all the time. My karaoke roster for one is usually 80% heartbreak songs, and those are the best ones to sing! But when I tried to compose the list of my top 5 songs of sadness, I sat there and watched the cursor blink a few dozen hundred times, my head a blank space. I remembered that I haven’t really been keeping up with new releases, relying solely on the millennial magic of Spotify. But I guess that shouldn’t matter much. Breakup songs usually endure. So here it is: the list of my favorite songs of heartbreak, no recent hit in sight, in no particular order. Hit play, click shuffle, maybe feel a few things, and repeat. Breakup not required. Why it hurts. Because it’s a truth universally acknowledged that love is not given in equal measure, and thus when it is broken, the divide is unequal too. The lines that got me. ‘Cause I’ve got time while she’s got freedom /Because when a heart breaks it don’t break even. Why it hurts. I like my Sandwich served raw—simple words and a lazy tune that builds into a violent barrage of feelings as Raimund Marasigan screams the gigantic question of why into my ears. Even the video by Quark Henares is awesome in its simplicity too. Shots of faces, profiles, and movement, proving that you don’t always need tears to evoke sadness. The lines that got me. Wala natayo/Wala natayo/Bakit wala na tayo? Why it hurts. You can argue this isn’t technically a sad song, but to me the words are asking someone to hold on to a promise, a blind hope. It makes me think that hope, while a positive thing, can be even sadder than a clean break because it leaves you hanging. Hearts are never broken/And time’s forever frozen still. Why it hurts. Alex Turner is a fricking lyrics genius. I’d like one hour to see a normal, everyday scene through his eyes. Here he makes the bakery seem like the most romantic setting for a boy pining over a girl. The line that killed my heart is actually the last one, but I’ll let you discover that for yourself. The following were heartbreakers too. The lines that got me.The more you keep on looking/The more it’s hard to take/Love, we’re in stalemate/To never meet is surely where we’re bound. Why it hurts. I can’t make a list of the best saddest songs without including the Smiths. Morrissey’s MO seemed to be to wrench sadness from the depths of broken hearts and make the display seem like the most beautiful thing. This song is short and simple in the wretchedness it brings, because hasn’t everyone had this dream? The lines that got me. Last night I dreamt/ That somebody loved me/ No hope, but no harm/ Just another false alarm. Every breakup has its playlist. How do you get over a seven-year relationship? 21-year-old Jill is trying to find out. But moving on is a harder job when Kim, her ex-boyfriend, is the lead guitarist of the band, and Jill is the vocalist. Every song they play together feels like slicing open a barely healed tattoo. Jill’s best friend Miki says she will be out of this gloom soon. Breakups have a probation period, he says. Jill is on the last month of hers and Miki is patiently keeping her company. But the real silver lining is Shinta. Having a hot Japanese actor friend in times like these is a welcome distraction. This gorgeous celebrity has been defying time zones and distance through the years to be there for Jill. Now he is here, physically present, and together he and Jill go through old lyrics, vivid memories, walks in the rain, and bottles of beer. Together they try to answer the question: what do you do when forever ends? Before this very bookish weekend ends, I’ve got something special on the blog! 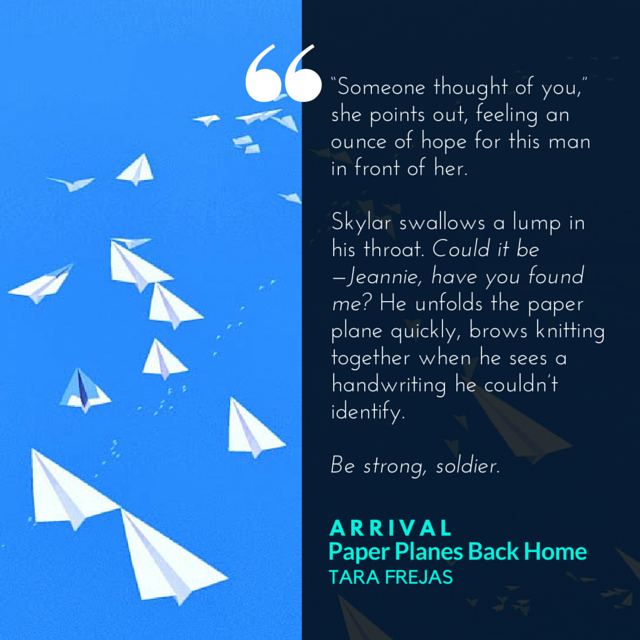 Today is my stop for the blog tour of Tara Frejas‘ first book, Paper Planes Back Home. Tara and I were classmates in the #SparkNA workshop, but only got to talk and hang out when we manned a booth at Eastwood’s Books & Brews. I got a copy of her book then, but I wasn’t able to read it because you know how many books and how little time we have, right? But it’s a good thing, too, because I had just enough time to read it for the blog tour! But I’m not reviewing it just yet – I’ll save that later this week. :) Today, I’ll give you a sneak peek at this lovely, lovely novel. They are silent for a while until he nods toward the new batch of planes around the newcomer. A pause. When she looks back at him, she realizes he doesn’t quite know how to answer the question. “Shall we try?” she asks, handing him the plane in her hand. “No. I can’t do that,” he says, waving his hand dismissively. 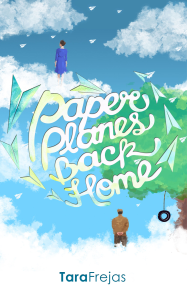 He only shrugs in response and takes a look at his paper plane with a smile. It’s the small things that make a difference, son, he remembers Sam, the old man of about fifty, who had kept him company before he was able to fly back home, say. He was a lively fellow who always had stories and wise words to tell and perhaps, without him, Skylar would’ve already drifted off to sleep. It’s another blog tour week for #buqoYA! Can I tell you something not-so-secret? I really like the title of this bundle. It must be the fairy tale fan in me, or the romantic, because whenever someone says “fairy tales,” I think of happily ever afters. And those are really fun to read, yes? 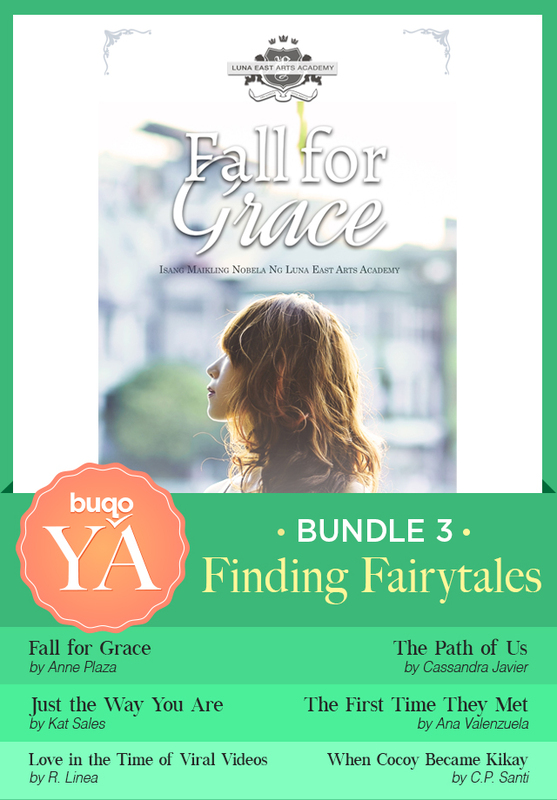 So for this stop, I shall share two excerpts from the stories in this bundle. I have a copy of this bundle waiting in my phone, and from the excerpts, I cannot wait to settle down and read them. :) Enjoy! She looked at him and waited for what he had to say next. She didn’t know what came to her mind right at that moment but she found herself inching towards him. In a span of seconds, she was planting a kiss on his lips. It didn’t last long—just a few seconds or so, and she wanted to bask in that moment, feel the butterflies in her stomach, the warmth of the air, the romance that the light of the fireflies gave, but she remembered that a) she had a boyfriend, and b) she hated Andrew—this shouldn’t be happening. She then ran away, leaving him and High School behind. Cass is a cat lady who graduated with a degree in Broadcasting and has worked as a copywriter, a researcher in an IT company, a call center agent and was even a trainee for a time in a television network. She writes articles for a living. When not writing articles, she writes novels, fanfiction, short stories and whatever she may think of. She loves TV series, movies, music, and is a very big bookworm. She’s also addicted to butterflies, faeries and Ice Cream. “Since when did you start having a lablab, Coy?” Dags lifted a brow. “Is . . . is it a guy or a girl?” Paulo asked tentatively. “Dude, whichever way you roll . . .” Dags shrugged. Oh, c’mon. True, I was a T-shirt-and-jeans kind of girl and I hung out with guys, but that didn’t automatically translate to such gender assumptions. Sure, I loathed boy bands. And I loved basketball, camping, and shooting more than the average girl should. Living with my dad hadn’t exactly encouraged girly pursuits. But still. “So, who is it? You have to tell us,” Paulo protested. He stood to tower over me, arms crossed over his chest. I sighed. Paulo, Dags, Joel, and I had been friends for years. The four of us were the only ones crazy enough to take up a dare issued by our neighborhood playmates—to see if a manananggal indeed left the lower part of its body at the abandoned Siangco house on Lilac Street. Over the years, our friendship had been further cemented by bruises and scraped knees, basketball games, camping trips, fish balls, turon, and buko pandan royale, day-long village-hopping bicycle trips, and innumerable fries and Coke floats. I never kept secrets from them. Usually. “So who is it?” Paulo asked again. I counted five seconds of absolute silence. C.P. Santi is a Filipina author based in Tokyo, Japan. 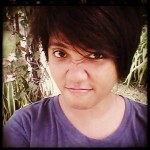 She is a wife to an engineer/musician/jokester and a full-time mom to two energetic boys. She loves cooking and baking, and enjoys feeding people, gorging on chocolate, watching J-doramas, belting it out in the karaoke box, and running around the house playing tickle tag. She also loves dreaming up stories about the people she meets. In another life, she is also an architect and academic. Her first book, Be Careful What You Wish For, is a contemporary romance based in Tokyo. So I’m back, after a stressful two weeks. I promise to catch up on some reviews, but for now, let’s do some promotional blog tour stuff. Today on the blog is a new nonfiction collection of stories from Marie Claire Lim Moore, Don’t Forget the Soap. First off, I love the title. Second, the blurb reminds me a bit of Tweet Sering’s Astigirl, but you know, for moms. And perhaps for daughters, too? Hm, sounds interesting. 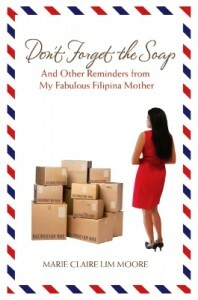 Don’t Forget the Soap is a collection of anecdotes from different points in Claire’s life: stories from the tight-knit Filipino community in Vancouver mix with memories of her move to New York, experiences at Yale and travels as a young executive. Underlying this narrative is the story of a global citizen who does not want to forget the fundamental values that come along with the “immigrant experience” as she and her husband raise their children in the increasingly glitzy expat bubble of Singapore. Her parents continue to remain a big influence in her life and her mother’s reminders a grounding force. These stories will warm the heart and resonate with people of any culture. My parents were extremely supportive of my pursuing opportunities in different parts of the world (not exactly conducive to settling down), and they didn’t bat an eyelid when my long-term relationship (on path to marriage) ended abruptly just as so many of their friends’ children were walking down the aisle. People would comment, “You must be feeling some pressure from your parents to meet someone.” No, actually, I wasn’t. Not until the year I turned 30 and met Alex did my mother make any comment in this regard. It was after I finished my assignment in the Philippines and was deciding whether to go back to Brazil, stay on in the Philippines or return to New York. Most of my colleagues in the program continued working abroad (it was considered the faster path to running a business since many of these roles were in emerging markets where one had the opportunity to take on a relatively big job, the equivalent of which would not be available in global headquarters). “At this point in your life it’s OK to let a ‘friend’ factor into your decision,” she would say. (My parents never used the term “boyfriend.” It could be a “close” friend or a “special” friend but in their minds nothing was official until marriage, so why give anything in between a title.) She continued, “You’ve put a lot of focus on your career, which is great, so now you can balance it by putting some attention on other important things.” After our assignments had finished in Brazil, Alex went back to New York and I went to the Philippines. We left more as friends than anything else but soon found ourselves staying in close touch while on opposite sides of the globe. We spoke at least two times a day despite the time difference, and he even came out to see me in Manila. I decided to take a job back in New York and see where the relationship could go. 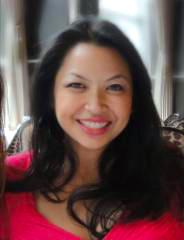 Marie Claire Lim Moore is a Filipina-Canadian-American working mother and author of Don’t Forget the Soap. After spending the early part of her childhood in Vancouver, Claire moved to New York City and attended the United Nations International School. She went on to study at Yale, climb the corporate ladder at Citi and travel around the world. She met her husband, Alex, while working in Sao Paulo, Brazil and they married in Manila, Philippines shortly before moving to Singapore. Now Mom to Carlos and Isabel, Claire also manages the Global Client business for Citi in Asia. She enjoys juggling career and family and likes to throw in community and politics for fun by campaigning for US political candidates, fundraising for organizations that advance the role of women in business and promoting foreign direct investment in the Philippines. She is also a guest contributor at Sassy Mama Singapore. She tweets at @MarieClaireLM.